Joy Reid was back to business as usual on her Saturday show, a day after she apologized again and MSNBC stood by her despite calling recently unearthed blog posts "hateful and hurtful." The MSNBC host did not address the controversy on her two-hour program, "AM Joy," which airs Saturday and Sunday mornings. In her apology Friday, Reid said, "While I published my blog, starting in 2005, I wrote thousands of posts in real time on the issues of the day." "There are things I deeply regret and am embarrassed by, things I would have said differently and issues where my position has changed. Today I'm sincerely apologizing again," she said. This week, BuzzFeed reported on a post that included a photoshopped image of Senator John McCain's head on the body of the shooter in the 2007 Virginia Tech massacre. BuzzFeed also wrote a piece about a 2006 post in which Reid promoted the 9/11 conspiracy film, "Loose Change." Other outlets have dug in as well, dredging up several old posts that contain controversial rhetoric about border security and CNN anchor Wolf Blitzer's coverage of Israel. MSNBC' statement Friday said Reid's past statements do not reflect her current beliefs. "Some of the things written by Joy on her old blog are obviously hateful and hurtful," the statement reads. "They are not reflective of the colleague and friend we have known at MSNBC for the past seven years. Joy has apologized publicly and privately and said she has grown and evolved in the many years since, and we know this to be true. 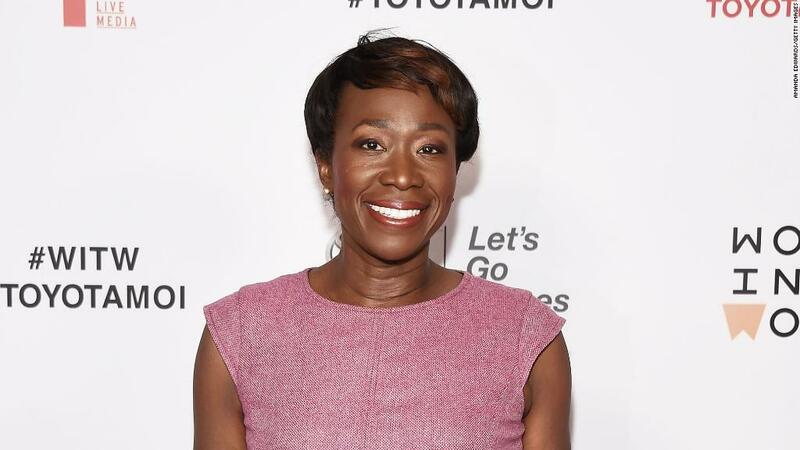 In April, Reid, a popular commentator among liberals, used her MSNBC show "AM Joy" to address other controversial blog posts that had surfaced — and her assertion that some of the posts were the work of a hacker. She opened her April 30 show with a lengthy statement and apology for past homophobic remarks. She also hosted a panel on LGBTQ issues. That mea culpa followed a week of heightened scrutiny, not only over her blog posts, but also the claim that her blog had been hacked. Reid hired a cybersecurity expert and her attorney said the FBI had opened its own probe into the alleged hacking. The hacking claims were scrutinized by several media outlets, including CNNMoney. On Apirl 30, Reid said she "genuinely" does not believe she wrote some of the posts, though she acknowledged cybersecurity experts haven't been able to prove they were posted by a hacker. MSNBC declined to comment Saturday about the hacking claim or the status of the FBI investigation. Reid's attorney did not immediately respond to a request for comment. — CNN's Tom Kludt contributed to this report.